Noam Chomsky has made a name for himself (and justified) as being a deep thinker who believes in democracy and also the fact that everyone should be able to view and comment on political directions. Unfortunately we know this is not a universal situation. His latest book (and in hardback on the Bookazine Big C Extra shelves) is Making the Future (ISBN 978-0-241-14510-4, Hamish Hamilton-Penguin, 2012). Chomsky give us over 50 essays to digest and ponder covering such diverse topics as Gaza and the future of a Palestinian-Israeli peace, Iraq oil, a Deal with the Devil?, War, Peace and Obama’s Nobel and America in Decline, and that is only three of the 50 odd which range from 2007 up till 2012. “Historical amnesia,” writes Chomsky in one essay centered around Guantanamo Bay, “is a very dangerous phenomenon, not only because it undermines moral and intellectual integrity, but also because it lays the groundwork for crimes that lie ahead.” I certainly would not disagree with that. Are you being led up the garden path? Definitely so, according to Chomsky in the essay entitled “Good News from Iraq, Afghanistan and Pakistan” where he shows the quoted up-beat figures from General Petraeus showing the Iraqi government’s spending on reconstruction was greatly accelerating, when in actual fact, the US Government Accountability Office found that the true figure was one sixth of General Petraeus’ figures, representing a decline of 50 percent. At B. 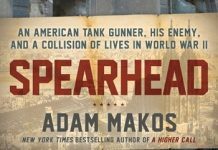 743 for a hardback is not over the top, and at that price is good value for what is there for the reader between the hard back covers. It is a book that late teenage students should be forced to read, to make them expand their minds. It is not a book to be taken lightly. 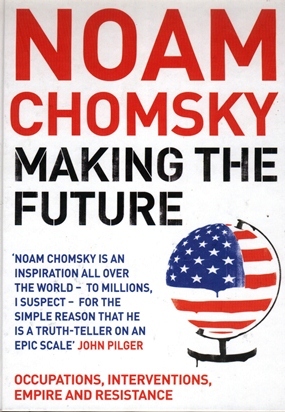 Perhaps the best description is on the front cover from John Pilger who writes “Noam Chomsky is an inspiration all over the world – to millions I suspect – for the simple reason that he is a truth-teller on an epic scale.” And I know that in today’s world, “truth” is not a commodity in over-supply!